Cook the pasta and the eggs. Prepare the chicken breast. You can fry or poach as you prefer. Allow it to cool for at least an hour or two. Cut out the rest and plate. It's typically a salad, for which it is a good idea if you plan ahead a little bit. 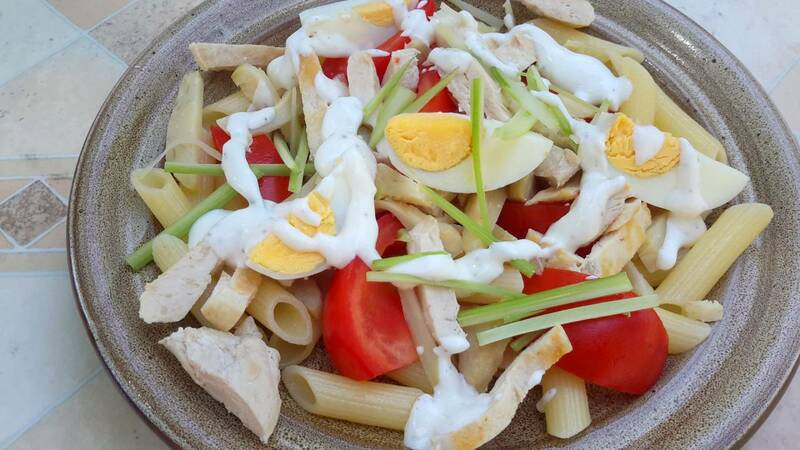 Make a pasta and chicken dish the day before and have enough leftovers for the salad the following day. Freshly cooked artichokes taste better, but I usually use glass or canned for convenience.